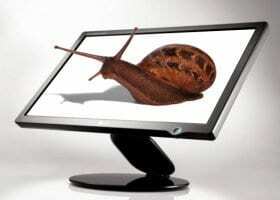 Is your computer running unusually slow? There are lots of things that can cause a computer to slow down – here are just a few possible reasons to consider. Computers tend to run more slowly once they start running out of RAM. This is because the hard drive has to work harder to compensate for the lack of memory. There are lots of ways to free up RAM from cleaning up your desktop to deleting cookies – this link offers a more detailed guide into some of the methods you can use. Once you’ve freed up enough memory, your computer should begin to speed back up. Using too many programmes at the same time puts a strain on your computer. If your computer takes ages to initially startup, it could be because there are too many programmes that you’ve set automatically open on start-up. As well as programmes, consider how many browser extensions are in use as this too can make your computer slow. If your computer has slowed significantly for no obvious reason, it could be because you’ve got a virus. If you suspect this to be the case, visiting an IT technician to remove the virus could be your best solution. Alternatively, this guide may be able to help you remove the virus yourself. Having robust anti-virus software installed on your computer can protect you from viruses in most cases. That said, you need to be certain that you’re constantly running the latest version of this anti-virus software (most security software automatically updates, but if you constantly leave your PC on standby and never restart, your software may never automatically update). Anti-virus programmes can occasionally get bugs which cause them to be overly protective. In some cases, they may block you from using legitimate programmes in the belief that they’re a threat. In other cases, your anti-virus software may start scanning every programme thoroughly before you open it, causing these programmes to load slowly. The bugs can sometimes be fixed with updates – if not you may have to get an IT technician to take a look. Software can get corrupted if your computer crashes or if you have to force it to shut down. This corrupted software may cause your computer to run more slowly. You may be able to reinstall this software to fix the problem, however, you may lose certain data in the progress. Software corruption can occur naturally with age, so bear this in mind if your computer is old. Damaged hardware could also lead to your computer running more slowly. In such cases, you may have no option but to buy new hardware (you may be able to replace parts, but it’s likely you’ll need to replace the entire computer). An IT technician will likely still be able to salvage your files.